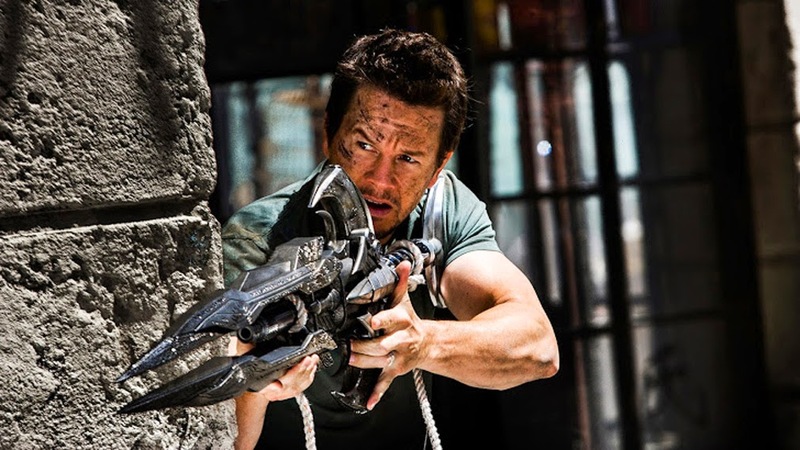 Academy Award-nominee Mark Wahlberg (“The Fighter”) gets to show off his fatherly protective side in Paramount Pictures' “Transformers: Age of Extinction,” the fourth installment in director Michael Bay's summer blockbuster franchise. Walhberg plays single dad Cade Yeager who the actor describes as "a very ordinary guy who has to do extraordinary things in the face of danger to protect his family — anyone can relate to that. It's a little more intense, but there are great moments of humor infused." Fans can expect a lot of boom from the Michael Bay-directed film, which will introduce a new breed of Transformers — ancient aliens that transform into dinobots. "Michael is always pushing boundaries, but here we're creating new boundaries," Wahlberg says. "This is going to be a very cool ride." 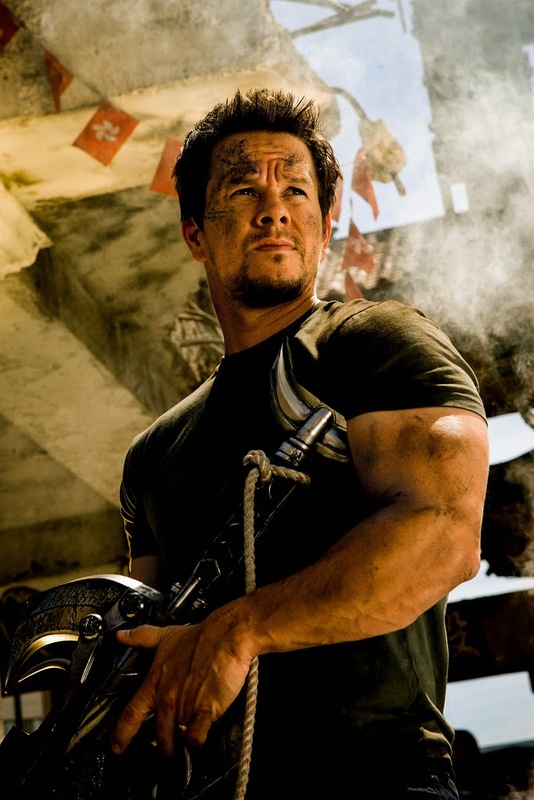 “Transformers: Age of Extinction,” the fourth film in director Michael Bay's global blockbuster franchise, stars Mark Wahlberg, Stanley Tucci, Kelsey Grammer, Nicola Peltz, Jack Reynor, Sophia Myles, Li Bingbing, Titus Welliver and T. J. Miller. Produced By Don Murphy & Tom DeSanto, Lorenzo Di Bonaventura and Ian Bryce. Based on Hasbro's Transformers Action Figures. Written By Ehren Kruger. Directed By Michael Bay. Mark Wahlberg earned both Academy Award and Golden Globe nominations for his standout work in the family boxing film “The Fighter“ and Martin Scorsese’s acclaimed drama “The Departed.“ Wahlberg has played diverse characters for visionary filmmakers such as David O. Russell, Tim Burton and Paul Thomas Anderson. His breakout role in “Boogie Nights“ established Wahlberg as one of Hollywood’s most sought-after talents. Wahlberg’s remarkable film career began with “Renaissance Man,“ directed by Penny Marshall, and “The Basketball Diaries,“ with Leonardo DiCaprio, followed by a star turn opposite Reese Witherspoon in the thriller “Fear.“ He later headlined “Three Kings“ and “The Perfect Storm,“ with George Clooney, and “The Italian Job,“ with Charlize Theron. Wahlberg then starred in the football biopic “Invincible,“ with Greg Kinnear, and “Shooter,“ based on the best-selling novel Point of Impact. He reunited with “The Yards“ director James Gray and co-star Joaquin Phoenix in “We Own the Night,“ which he also produced. Other projects include “The Lovely Bones,“ “The Other Guys,“ “Contraband“ and “Ted.“ Most recently, he starred in Michael Bay’s “Pain & Gain“ with Dwayne Johnson, “2 Guns“ with Denzel Washington, and “Lone Survivor“ for director Peter Berg. Opening across the Philippines on June 25 in IMAX 3D, Digital 3D and 2D cinemas, “Transformers: Age of Extinction” is distributed by United International Pictures through Columbia Pictures.